Williams, 37, was convicted by a Whitfield County Jury on Friday for the forgery, theft and fraud charges after a four-day trial. Senior Assistant District Attorney Mark Higgins presented the state’s case along with assistance from Detective Chris Tucker of the Dalton Police Department. Prosecutor Higgins tendered 140 exhibits and called 10 witnesses during the trial establishing that Ms. Williams had worked at two different local businesses using false identification documents and was found to be in possession of numerous other false documents and of stolen credit cards. District Attorney Bert Poston said, "The direct victim of the identity fraud, a former friend of the defendant and resident of North Carolina, testified about the financial and other problems caused by the defendant’s actions over the past 10 years. While Ms. Williams lied to detectives during the course of their investigation, she testified in her own defense at trial and on cross examination by Mr. Higgins, admitted to many aspects of the crimes with which she was charged." The jury deliberated approximately 12 minutes before returning a verdict of guilty on all counts. Ms. Williams was represented by local attorney Jerry Moncus. DA Poston said, "Ms. Williams will be required to serve the entire sentence, day-for-day, without the possibility of parole due to her significant prior criminal history including eight prior felony convictions for crimes including burglary, deposit account fraud, forgery, identity fraud, residential mortgage fraud, and theft. All of her prior felony convictions were from the Metro Atlanta area including Fulton, Cobb, Gwinnett, DeKalb and Clayton Counties. "Court records show that Williams is originally from New York but lived in the Atlanta area for many years before recently moving to Chattanooga and then Dalton. 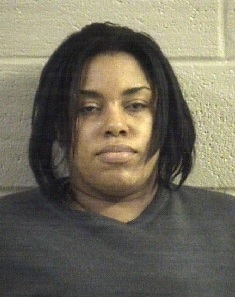 She also has an active hold for similar charges out of Wilkinson County, east of Macon." In pronouncing sentence, Judge Morris told Ms. Williams "she was a financial predator and was going to sentence her as she would any other predator." She proceeded to group Ms. Williams’ various crimes by type, sentencing her to serve five years on each forgery, all concurrent, followed by three years on each financial transaction card theft to run concurrent with each other but consecutive to the forgery counts, and that followed by five years on each of the false statements, concurrent with each other but consecutive to the other charges. Those sentences were then followed by 15 years on each of the two aggravated identity fraud counts which are required by law to run consecutively to each other and to any other crimes bringing the total sentence up to 43 years.